Chelsea and Manchester United meet at Stamford Bridge on Monday night in the tie of the FA Cup fifth round. And it’s a game with added significance given success in football’s oldest cup competition could go a long way towards securing the futures of the two managers involved. Recent results have left Blues boss Maurizio Sarri on thin ice in west London, and a first career trophy in the FA Cup could buy him the grace of a second season. And with United likely to be exiting the Champions League this month after losing the home leg of their last-16 clash with Paris Saint-Germain in Tuesday night, the Cup is caretaker manager Ole Gunnar Solskjaer’s best shot at silverware; a Wembley triumph would make him a difficult man to overlook when the powers that be at Old Trafford select their next permanent manager. There is no doubt that United come into the game as the form team. Their loss to PSG was the 20-time league champions’ first in Solskjaer’s 12 games at the helm since replacing former Chelsea and Real Madrid boss Jose Mourinho in late December. 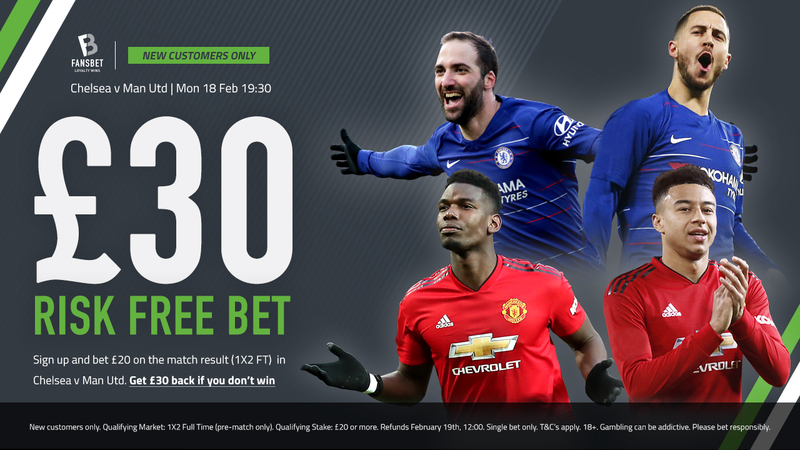 Their 11-game unbeaten run up to that point comprised of an extremely impressive ten wins and one draw, with Tottenham Hotspur and Arsenal notable scalps on that streak of form. When Solskjaer took charge, a top-four Premier League finish appeared incredibly unlikely, but last week’s 3-0 victory stroll against Fulham, coupled with Chelsea’s 6-0 reverse to Manchester City at the Etihad, saw the Red Devils assume fourth spot. Chelsea began the season brightly under new manager Sarri, unbeaten until mid-November and the first side to defeat champions City. But things have taken a stark downward turn for the 2016/17 Premier League champions of late, losing three of their last five fixtures, including thrashings at the hands of Bournemouth and City. Bryan Robson And Frank Sinclair: The Boost Are Off! Enhanced Odds For The FA Cup. Max Bet £25! By this point everyone knows what Sarri wants to do. The Italian tactician faces growing criticism for his refusal to experiment beyond his commitment to a 4-3-3 formation and faith in a core group of his players. The biggest bone of contention is Sarri’s use of N’Golo Kante. The Frenchman is arguably the best defensive midfielder in the world, yet the former Napoli boss is deploying the former Leicester City man in a box-to-box role, with playmaker Jorginho in the deepest midfield slot. Such criticism, however, ignores the differences between Jorginho and Kante when it comes to building play from deep and dictating tempo, which is why the role is so key to Sarri’s system and why Jorginho is better suited to the job than Kante; don’t expect Sarri to bend from this assertion any time soon. 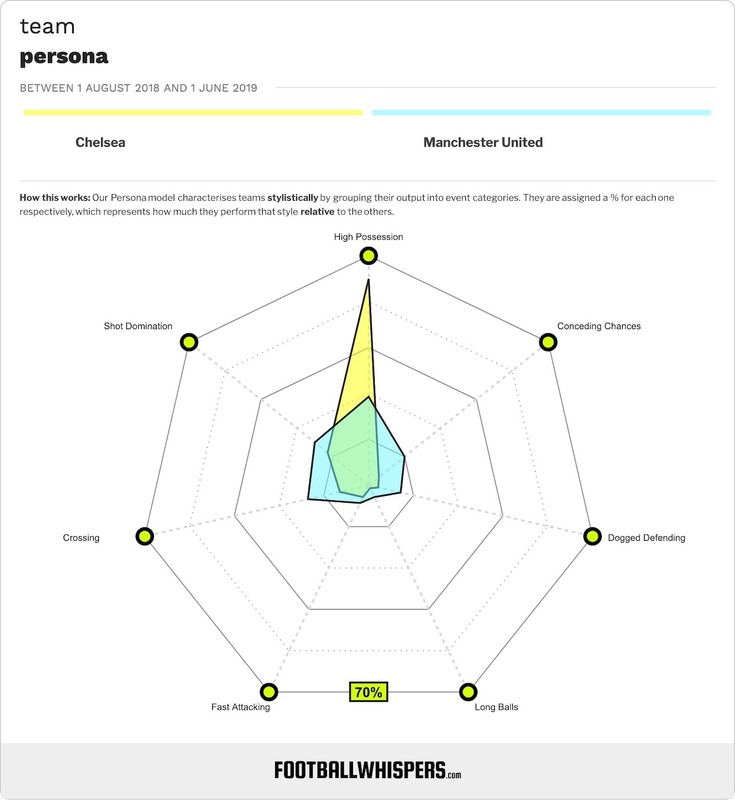 United have largely utilised a 4-3-3 shape under Solskjaer, with the Norwegian releasing Paul Pogba to roam forward and wreak havoc – the Frenchman has been directly involved in more goals per 90 minutes than Cristiano Ronaldo and Lionel Messi since the new manager took charge – and speed and fluidity in the forward positions. Marcus Rashford is now the undisputed top pick in the central striker’s position, keeping Romelu Lukaku out of the team, but preferred wide men Anthony Martial and Jesse Lingad, both taken off at half-time in the PSG defeat, are injury doubts for Monday night. 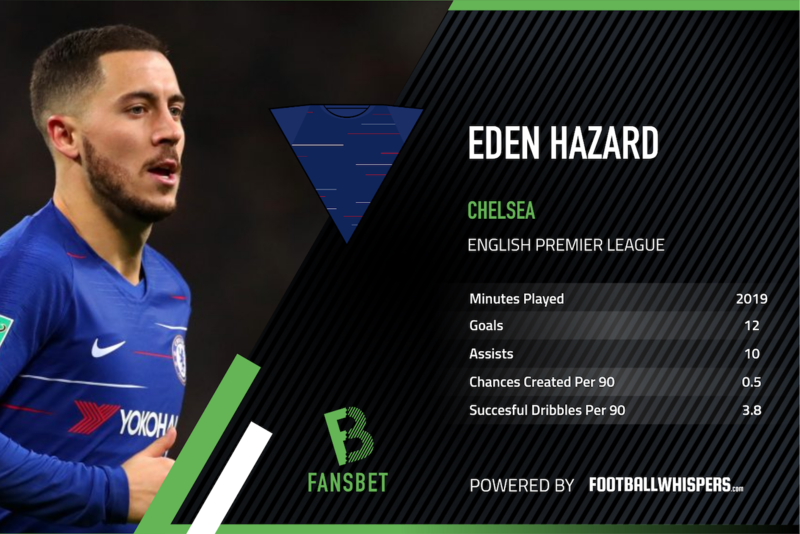 Eden Hazard – With 12 goals and ten assists to his name, Hazard is on course for the most productive Premier League campaign of his Chelsea career – indeed, his assists tally is already a high mark and he is just four goals short of his best scoring return. But the Belgian superstar has scored just three Premier League goals since Boxing Day. Hazard remains the most gifted footballer in England but, after starting the season in such hot fettle, needs to rediscover a level of consistency.With less than 18 months remaining on his contract at Stamford Bridge and with the 28-year-old dropping hints about his future, it is looking increasingly likely that this will be Hazard’s last season with Chelsea; leaving with a second successive FA Cup winners’ medal would be a fine way to sign off. Paul Pogba – Although things didn’t quite go his way against PSG in midweek, expertly marked out of the game by man-of-the-match Marquinhos before a late red card, Pogba has been in the best form of his Manchester United career since Solskjaer was appointed. His double against Fulham last weekend took his tally for the season to a career high of 11, with eight strikes in nine league games under the new manager, and his eight assists leaves him on course to eclipse the 12 he registered in the most productive creative campaign of his career to date, when he provided 12 Serie A assists for Juventus in 2015/16.